Music group Allstar Weekend’s “Next Big Thing” is happening in Hawaii. The Polynesian Cultural Center is kicking off the summer season with the group’s Hawaii debut performance on Saturday, June 25, from 2 to 4 p.m. in the 2,675-seat Pacific Theater. Best known for their appearances on the Disney Radio’s “Next Big Thing” contest, and popular new songs like “A Different Side Of Me” and “Come Down With Love,” the group’s newest single, “Not Your Birthday,” is currently being highlighted in the feature film Prom. Their debut album, “Suddenly Yours” peaked at number 62 on the Billboard 200 album chart. 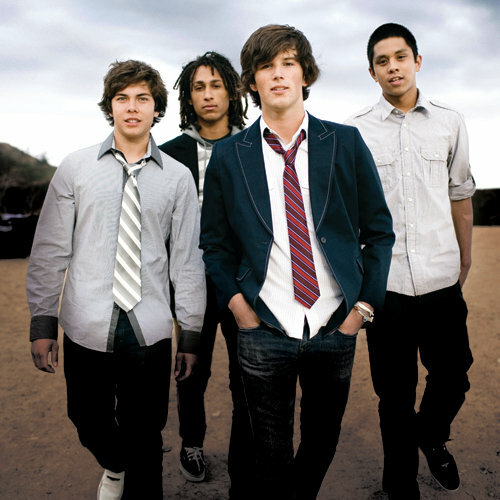 Allstar Weekend consists of four high school friends from Poway, California: lead singer Zach Porter, lead guitarist Nathan Darmody, bassist Cameron Quiseng, and drummer Michael Martinez. Considered by many to be the next hit group among teens, the band members have already become big stars to legions of young fans. Concert tickets are now on sale. For more information, go to www.Polynesia.com or call the PCC ticket office at (808) 293-3333. The Allstar Weekend summer concert is the capstone event of PCC’s “Go Native! June Kamaaina Special” which offers Hawaii state residents general admission to PCC for $15 – a nearly 70 percent savings. The new “Go Native!” activities were introduced this year and complement the already experience-rich island villages and exhibits at the PCC. The “Go Native!” activities offer new and often thrilling ways to spend summer days, such as Samoan umu (aboveground oven) making, coconut tree climbing, outrigger canoe paddling and pareu (sarong) dying, among other hands-on activities. Founded in 1963 as a non-profit organization, the Polynesian Cultural Center has entertained more than 34 million visitors, while preserving and portraying the culture, arts, and crafts of Polynesia to the rest of the world. In addition, the PCC has provided financial assistance to nearly 17,000 young people from over 70 different countries while they attend Brigham Young University-Hawaiʻi. As a non-profit organization, 100 percent of PCC’s revenue is used for daily operations and to support education.